So spring is here, grass is growing (well stopped now because someone forgot to organise the rain) however we thought this little gem of a photo was worth posting. Amazing what an iphone will do and it’s not even the latest one. Good news is the bees are buzzy (yes that’s gold!!) and fruit is beginning to develop. C’mon picking season, hurry up. 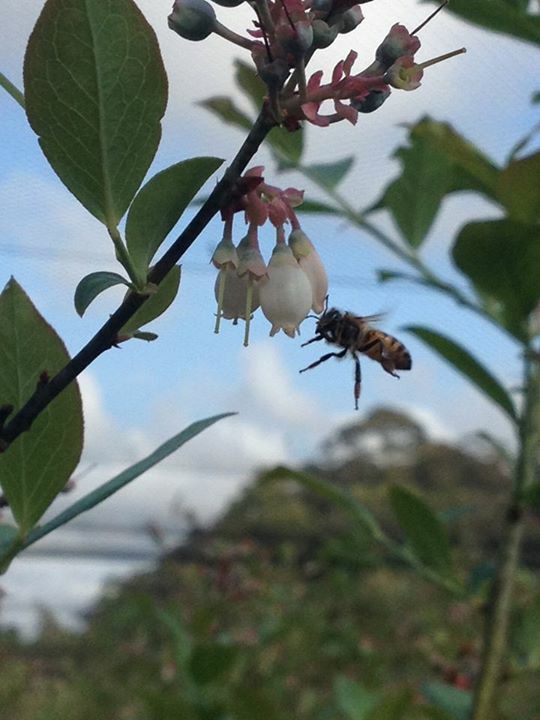 bee about to do it’s thing with a blueberry flower!